Round 14: Highlights Watch highlights from the Round 14 win over Brisbane. Talented Tiger teenager Connor Menadue clearly is as fast a learner with his overall football education, as he is scorching the turf on match day. Menadue, selected by Richmond with its second pick (No. 33 overall) in the AFL’s 2014 National Draft, played the first nine games this season at senior level for the Tigers, before being omitted following the Round 9 victory over Fremantle at Domain Stadium. 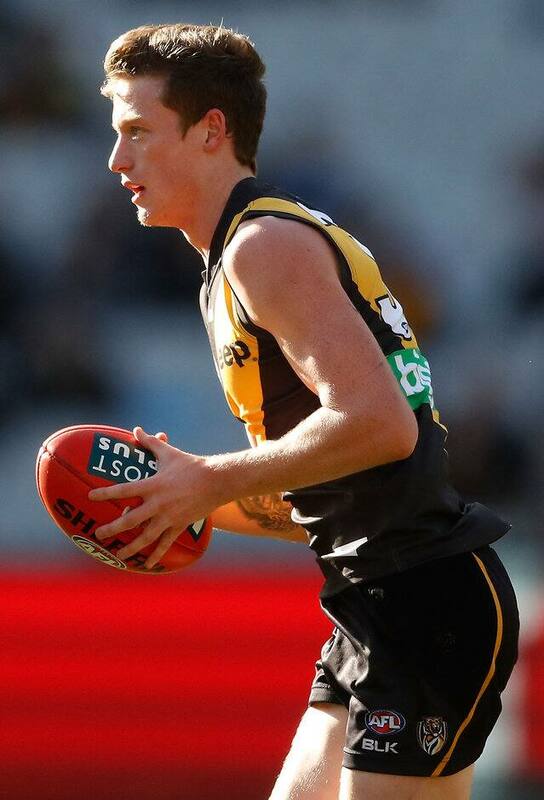 The swift-moving 19-year-old was subsequently recalled to Richmond’s senior side for last Saturday’s Round 14 match against Brisbane at the MCG, and he responded in impressive style, producing the best performance of his league career to date. He had a career-high 19 disposals, including four intercept possessions, an equal team-high six tackles, took seven marks, kicked two goals, and provided the team with plenty of dash. “I tried to run everywhere and get to as many contests as possible,” Menadue said on K-Rock following the Tigers’ 42-point victory. “I got an opportunity this week coming back into the side and I knew I had to try and play well and hold my spot . . .
“I’ve been working on my contested side, and trying to grab the ball and run as much as possible, to get that metres gained.